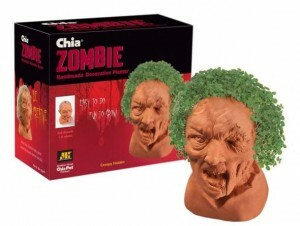 Remember the funny infomercials for the Chia Pet? Whether you have never seen these old commercials or just want to relive them you can watch them here. 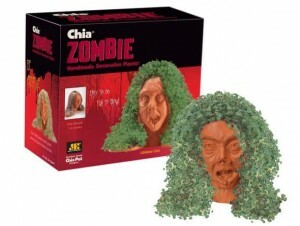 In an effort to milk every last drop out of the Chia idea comes their latest the Chia Zombie series. There are three different options; Creepy Holden, Lifeless Lisa, and Restless Arm. 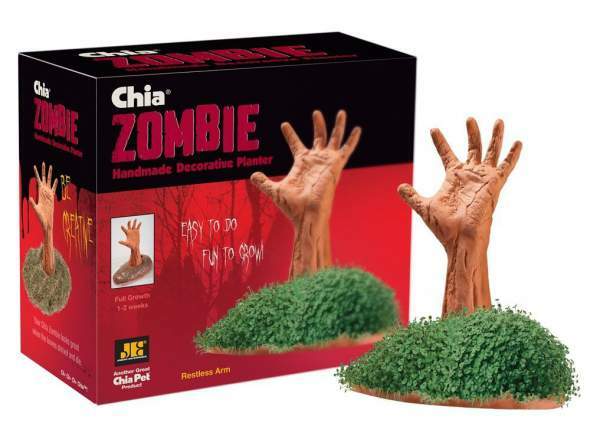 Each option comes with the pottery planter, chia seeds (enough for 3 plantings), and a drip tray. Just in time for halloween.